There's so much I don't understand about economics and finance that I really ought to buy a book or something about it. I took some econ courses while doing both my bachelors and my masters, but for the most part, I can only remember things I think I had probably already known: buy low sell high, when more people want what you've got you can probably charge more for it, prices go up faster than they go down... Oh, and I remember one prof explaining the Communist system of a command economy with the very accurate summary: "essentially, it was just pants". At least I can say to myself that I'm not as dumb about economics and finance as some people. I mean, I never spent billions more than I earned, like some countries. I never lent vast sums to governments that couldn't pay it back, like some of the major European banks. And I didn't lose a couple billion on some inexplicable shell game like one major international bank just did. Amid the on-going collapse of the international financial system, I suppose it may seem rather petty, but I do take some small comfort in realising that there are people out there even more unknowledgeable and inept than I am. Still, these days, I am regularly reminded of my weaknesses in the economics sphere as I watch the discussion of the euro. I don't even know what to start thinking, because I hear such different messages from the experts. I know, I know: put two EU member states in a room and you have three opinions about economics. But still, I'm confused even more than normal. Part of my problem is the variety of media I consume. Following the UK press, I see pure organic doom of the darkest form. The euro was a terrible idea from the start, it's all gone pear-shaped, and the only joy within this catastrophe is that we get to say we told you so. But when I read a lot of the continental press, I see doom has a clear limit. Things are bad, and we've been spending money we don't have, but we know what steps are needed to fix things, and once we figure out how we can take those steps and still get re-elected, this whole mess will be sorted out quite quickly. 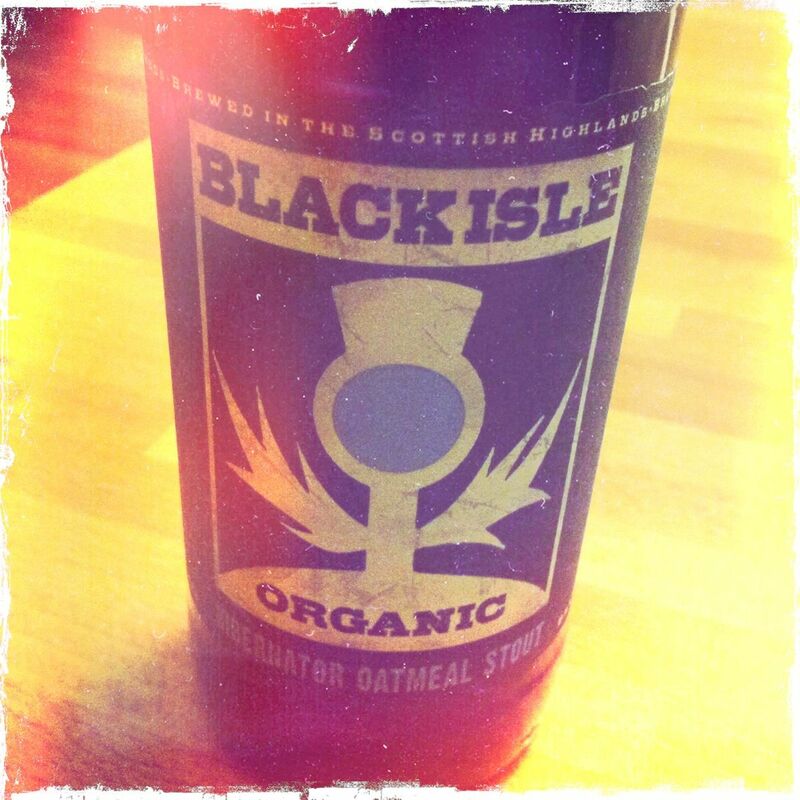 Which brings me to Hibernator Oatmeal Stout from Black Isle Brewery. 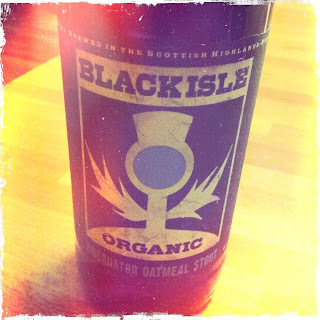 If you are mesmerised by pure organic doom of the darkest form like I am, then you are going to love this beer. The flavours of chocolate, coffee, under-ripe blackberries and a hint of old leather will astound you. And it’s organic, so it’s good for you and it promotes a more sustainable future -- which is more than you can say for the international financial system. In short, invest in a few bottles of this.